I do not doubt Lawson’s good intention. The problem is that his research stance of philosophy of economics produced no good results. 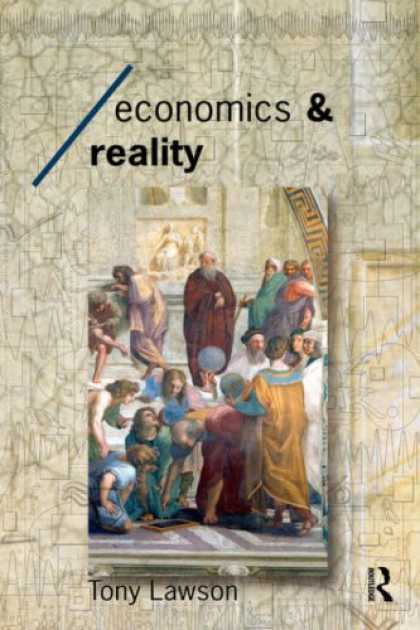 If more than twenty years have passed since the publications of “Economics and reality,” it is now time to question whether his philosophy has contributed to change economics to a preferable direction. It seems to me that Lawson’s ontological realism revealed ineffectiveness in two aspects. (1) Although Lawsons’s book gave substantial influence among heterodox economists, it made no big impact to the mainstream economists. (2) Those economists who want to be loyal to Lawson’s realism (mainly among heterodox economists) have produced practically no major progress in constructing a new alternative economic theory that can compete or supersede neoclassical mainstream economics. Point (2) is far more serious than point (1). Lawson produced many methodologists and philosophers but no theorists. So being right is pointless and influencing social science beyond the mainstream is not worth the effort? Oddly parochial point. Maybe we should look at what economists do, in education and career, to gain insight into their thought, than at what they write. Addressing Yoshinori’s points directly, how are economists to learn wisdom if the challenges of acquiring it are deliberately excluded from their curricula? Having made a Faustian pact with the Devil, Hume’s Smithian disciples in economics have brought us to the point where we are reliant on God having mercy on us, with only the angels to speak for us. On his second point, Yoshinori’s problem is that he didn’t recognise major progress when he was presented with it, because of his narrow economist’s conception of what a theory is. An ontological theory like ‘X is a Y’ tells you where to look, it not being possible in principle to predict what you will find and (with a nod to Michael below) what you should do about it. Those economists taking comfort from their own bank balances and the praise of their Faustian tutors tend not so see people dying in the streets. Yet again Lars Syll talks perfect sense but fails to follow his own logic. Any quantitative analysis requires mathematics to describe its relationships. To find relevance it is necessary to examine theoretical developments which are not invalidated by empirical evidence. My RWER-81 paper, “Transient Development”, describing manufacturing, is such a paper. I have asked repeatedly that Lars Syll should discuss the merits or if he believes so lack of merits of this paper. Either way that would be moving on instead of marching on the spot, which he continues to do. I’m sorry, Frank, you’ve got it the wrong way round. Not all mathematics requires quantitative analysis to describe its relationships. I am trying to understand what you mean. What you have said appears to be the same as what I said but with a less precise meaning. Which is the set, and which the member of it? Mathematics is the set, One member of which is quantitative analysis of economic entities. Come come now Frank lets all play nicely. I for one appreciate Lars’ reading suggestions, I read voraciously yet so little time and too many books, it is nice to have someone who is asking questions honestly of their own field of expertise and suggesting worthwhile reads. We are all lovers of truth surely? Claes took Umbridge at Davids presentation of Boltzmans ideas I thank them both for sharing their own thoughts on the matter. For my own part I agree with Du CHamps. I agree, let’s play nicely. You have introduced a great deal of material which I would describe generically as metaphysics. I question its relevance with respect to the initial blog. My earlier contribution spoke directly to the question. I would refer you to the first comment by Yoshinori Shiozawa. He offered a general comment about the failure of “Economics and Reality” to establish any new thinking. I claimed that my analysis can move the debate forward by real discussion whether people agree of disagree with what I wrote. In one of your references there is a picture of Einstein facing a critical audience. This is what needs to be done with my paper. It is the first to examine the development of manufacturing through real physical time. All previous analysis do not examine in real time. It is well worth reading D. C. North’s 1993 Nobel Lecture, where he discusses just how significant such an analysis through time would be, even though he did not believe one was actually possible. With no example available to him, this is understandable. However, now there is. I see no ships in that argument I’m afraid. You keep producing irrelevant references. I only asked you to deal with the subject not digress. So have you read the North lecture? On my paper: Have you read it carefully? Did you understand the maths? Do you recognise that its predictions are consistent with the empirical evidence? Do you recognise that it meets Popper’s test for validation? Do you recognise that it predicts new relationships that Lakatos would describe as a progressive research programme? Do you find the conclusion parsimonious? Hi Frank, Send a link to your paper and I will read it. On engaging with the subject I engaged with your comment regarding engaging with the first comment. I found the general claim that heterodox economics has barely put forward a theory to replace or challenge Neo-Classical economics a rather wild claim. Regarding the North Lecture again do please provide a link and I will happily comment specifically to it. Gentlemen, while I agree with the critiques by Lars & Tony, as far as they go, they fail to inspire new theory & metatheory because they didn’t go far enough. Neither did Schumacher, though he certainly got closest to the root of The Problem. Simmel’s view helps a great deal, but without understanding Kohr’s realization, the case is hopeless and the patient will remain dead, at least spiritually and theoretically. Now, to make the case as simply as possible: “economics” without ethics and, thus, without a holistic accounting of value, has no way to be realistic. It also has no way to be good, thus being and/or serving evil (at least as Socrates and Buddha understood it). A valid theory of cultural economy requires a metatheory of meta-economics that integrates holistic ontology (holontology) and axiology based on a realistic, humanistic bioethical paradigm. Otherwise, there is no way to account for the influences and effects of qualitative factors that cause and/or affect human activity. Furthermore, I see that the absence of a single, unitive metatheory and a realistic theory of economics produced by pro or academic economists is proof of my thesis, theory and metatheory of ethical holonomics. In other words, the refusal of economists to change the game and its meta-rules is due to the corruption and dysethical consciousness sponsored and maintained for the sake of the international national-debt-for-profit bankster system and its toxic currency scam. Why do so many people keep supporting it, at least by default? Evidently, the piracy paradigm of kleptocracy makes the possibility of a nontoxic system, based on a win-win relational paradigm, unthinkable for the vast majority of civilized/domesticated people. So, we keep seeing more of the poisonous, destructive effects of the Banksters’ win/lose financial paradigm, which unavoidably winds down into the take+take/lose+lose scenario that ends every toxic empire/civilization. The win/lose mode of interaction is OK for sports and some recreational games we play, but not for cultures worth sustaining. So, ignoring the ethical dimensions and qualitative realities of human culture is not really a problem of autism. Unrealistic economics is caused by pandemic, systemic corruption. Remember, the Chinese “word” for corruption is a pictograph for rotting meat. That’s the nondual linguistic and metaphysical issue that prevents acceptance of ethical ecometrics and the theory and metatheory of cultural holonomics. When the psychospiritual, psychosocial and neurolinguistic illnesses of toxic civilization are cured, then economics will be superseded by ethical cultural holonomics. Otherwise, the worst ongoing financial crime in the world pays, and change for the better does not. That reminds me of a metaphor: Ignoring the corrupting reality of the Bankster game is like ignoring the Godzilla in the room. Yet, despite the exponentially increasing number of lay folk who See it, since economics requires habitual & deliberate ignorance, I don’t expect any serious rebuttal or change for the better. Uh… Maybe calling it ethical blindness or ethicidal retardation would be more precise. I also think economics as is should also be considered a symptom of ecocidal mania. After all, at best, a social science that’s meant to be helpful should not only study a problem, but also show the Way to a solution. Should it not? and Yoshinora Shiozawa questioning of the effectiveness of his philosophy. Perhaps because I am a not an academic, but an ordinary citizen from the real world, I think Lawsons book and his philosophy is even more important today than when he wrote it. Somehow in my simple mind to reject Tony Lawson’s philosophy is something like throwing te baby out with the bath water. Again in my simple mind there has not been enough conversations on the history of how we have arrived at the present. In simple words starting the project from the ground up ,rather than trying to make a planed edifice fit an unsuitable site. Edward, Thanks and Rite on! In fact, tho my preciously posted (and still unupdated) draft sorely needs a completed final edit, starting from the foundation is exactly what’s been needed all along. Sadly, yet obviously, your lay take on the subject has only been appreciated by other lay folk, heroic ethicists, realistic axiologits, Leopold Kohr, Ivan Illich, me and God/Goddess & Buddha knoz who else. Of equal dismality, since discovering PAE/RWER in 2008, it seems ever more self-evident that the disease is terminal and that the patient is determined to take down everyone & everything else as well. Oh, well, eh? All things, including the human species and planet Earth, are impermanent, doomed. However, to me, mass-extinction due to ethicide and mass-stupidity seems the most dismal of all possible results of the most dismal of all pseudo-sciences. Here is the policy agenda of my Book Wisdomics-Gracenomics: The New Paradigm Theory of Economics, Finance and The Money System. 1) A $100,000 debt jubilee to be applied to student and private individual debts. If one has no debt they can consider the debt jubilee a pure gift. 2) $1000/mo. universal dividend at age 18 for life. 3) A 50% discount to the consumer at retail sale on all everyday consumer items and a rebate of the entirety of that discount back to the enterprise giving it to their customers/consumers by the monetary authority that creates all new money. The fear of inflation must not, and from here on, will never ever stop humanity from being able to adequately partake of the abundant production we are capable of creating. 4) Institutionalization of a non-profit publicly administered national banking system and central bank to create and disburse all new monies including the dividend and discount/rebate policy monies. Private finance’s money creating powers are both an unnecessary cost burden on the legitimate economic/productive process and a foolish current monopoly power that has been allowed to dominate nearly everyone and every other actually legitimate business model. After over 5000 years of its dominating paradigm it is way over due for the new paradigm of Abundantly Direct and Reciprocal Monetary Grace As In Gifting to become the reality. 5) The Money System will become a fourth branch of government with constitutionally arm’s reach separation from the executive and legislative branches and its mandates will be the various monetary policies here and unitary guidance by the natural philosophical aspects of the concept of grace. 6) Extension of the 50% discount/rebate policy to the point of note signing for “big ticket items” for homes, furnishings, solar power systems and high MPG/electric autos etc. Finance must serve humanity, not oppress it. 7) A policy combination of either a job guarantee for those having some difficulty in finding purpose and personal comfort without having a job, or 20 hours per week of self-chosen personally purposeful activities, or education in and/or counseling regarding options for new constructive purposeful activities. Employment is a smaller subset of human purposes, and acculturating purpose is the route to life-long happiness. 4) Unlimited availability of financing for the best ecological research, innovation and implementation. Wisdom and graciously wise actions toward planetary sustainability are by definition the ultimate ecological ethic, and Wisdomics-Gracenomics and its policies, structural changes and regulations will be exactly aligned with that effort. This will mean that while keeping competition, innovation and the profit motive generally available, the hastened trend toward sustainability will still be the ruling consideration, and that profit-making enterprise will ultimately bow to that most sane ethic. Species and ecological survival is not an option, it is a commandment of Wisdom. 9) Re-distributive transfer taxation will almost entirely end. Individual and corporate income taxation will be reduced to a level of 5-10% strictly enforced with few or no deductions so as to merely but definitely establish the reality of the sovereignty and yet redeemed by gracious and benevolent policies and power of the government. Benevolence and sovereignty being aspects of the ultimate integrative natural philosophical concept of grace after all. 10) A cooperative effort by the helping professions, the clergy and the government with public service announcements like the ones used to reduce smoking should be undertaken to help positively and constructively acculturate the general populace to leisure, to find other purposes in addition to employment and to build stronger communities throughout the land. 11) Tax incentives for not raising prices or for reducing prices in only non-monopoly ways will be implemented, and severe tax punishments for accounting fraud or gaming of the new paradigm system, and loss of discount/rebate participation privileges if such gaming is repeated will be regulations that will help keep the new paradigm stable. 12) In return for the more than doubling of available individual income and hence business revenue with the dividend and discount policies all enterprises will submit to a rigorous monthly accounting analysis of their books. Decreased costs can legitimately be made business savings, but arbitrary price increases without bona vide economic cost increases will not be tolerated. If the new growth area of the economy is forensic accounting, so be it. An army of such accountants under the leadership of Bill Black or his equivalent could only be a force for honesty, the continuing prosperity for all and for systemic stability. 13) A program like the Civilian Conservation Corps but for programs for artistic and craft expression and also for study of the world’s major wisdom traditions and the non-sectarian natural philosophical concept of grace and its healthy and beneficial aspects in all areas of life. It is time for humanity to leave its lingering adolescence and to mature into a culture of wisdom. 14) The new central bank will look askance at any large leveraging up for any speculative purposes, and any attempts to short the currency from domestic or foreign sources will immediately be considered “null and void” by our legal and political systems. Speculators in commodities markets will also not be allowed excessively large leveraging, and if they do not abide by all regulations new such markets will be created that will so abide. Students would have $24,000/yr. of purchasing power ($1000/mo. x 2 with the 50% discount x 12) and so they could attend all but the most expensive colleges, be able to pay for tuition as they attended and not become saddled by huge debts upon graduation. With some slight employment while attending they could have a more than comfortable lifestyle while attending as well. With the universal dividend starting at the age of 18 and a 50% discount/rebate policy for everyday consumer items and services every adult will be guaranteed $24,000/yr. and so $48,000/yr. ($24,000 x 2) for a two-adult household. For 2 adults with 2-$25,000/yr jobs that is another $100,000/yr. ($50,000 +50 % discount = $100,000) or a total of $148,000/yr of potential purchasing power. With the 50% discount also extended to the point of note signing for a home a $300k home would be reduced to $150k at retail sale and then at note signing the remaining $150k would be disbursed to the home building corporation to make them whole on their total costs and price, and then the monetary authority would reduce the actual note to $75k. More than doubling individual purchasing power with the universal dividend and 50% discount/rebate policies at retail sale and for the more expensive consumer items and assets is synonymous with a more than doubling of potential business revenue. When was the last time an economist or politicians came up with a more beneficial set of policies for all agents individual and commercial and that accomplishes the cardinal signature of genuine paradigm changes, namely complete inversion of old paradigm realities? Short answer: Never. Keep that in mind when you decide whether or not Wisdomics-Gracenomics is a genuine paradigm change. I have been a great fan of Chomsky all my life (critically). Language is a window to the soul of every culture. The more languages we speak, the more open-minded and open-hearted we come. I have no doubt whatsoever about this particular issue. What still baffles me is why our dear Lars of whom I have grown quite fond, seems to post these original things and then never engages in the debates? He is too busy I guess. As for Economics and its followers, all one can say is that the only language they appear to regurgitate is their own. I have stopped taking part on a regular basis and may soon give up completely. Craig, those are interesting ideas and proposals, but they seem too limited to be truly effective. Additionally, mass-adoption prior to mass-extinction is a vital ingredient of success. I have a solution in progress that goes several steps further and will soon be implemented with the nextgen AI-enabled successor of blockchain tech with a new global reserve currency & exchange system. It will also support my update of the nonmonetary gifting/sharing system, with tokens of credit & discredit. Per your request, I will keep you updated on the progress, via email > michael @ (michaellucasmonterey) (.com). I assume you are a competent mathematician so I haven’t checked your maths. Regardless of the Maths, your reasoning makes some pretty bold general claims which are not supportable logically. Money as a measure is Flawed both Abstract and Arbitrary, it is not a concept based in reality it is an Abstract ideal. The paper is I found rather lacking in scientific rigour and fails to define its terms adequately. The economy is an energy transformation equation and it is there that you will find scientific empirical data to support the theoretical framework you fail to establish. Regarding the Boundary conditions for forwarding prediction energy potentials can be abstracted and presented as embodied energy equations as has been achieved in this paper. which i discuss with its programmer here. Frank, I found the paper entertaining as far as it went but kept thinking of the Song Castles in the air Saying it is so, in theory, does not make it so in fact and when your metrological magic want is an abstract ill-defined “Allocation of Effort” we are indeed in the field of metaphysics and not falsifiable scientific rigour. I read the North Essay? am I missing something, looks like metaphysics to me. Shubicks paper on Institutional economics takes a lot of beating he says this in it. This is the same as my comments at Feb 2 12.14 as it responds to the points made above. It would have been better to have replied on this blog to continue the discussion However I will deal with your responses here. I am ignoring what are simple quotes from my paper to which you have made no comment. This is defined precisely. Per capita divided between direct production and tool making and maintenance. I am unable to understand this assertion. I have provided precise mathematically proven analysis, This suggests that as you did NOT follow the maths, you are merely asserting your own vision of reality. If you really believe this to be true I would ask you to demonstrate any of the terms that I use which are NOT fully defined. This is merely an assertion of your thinking. As I was sometime head of the Energy Section of the British Iron and Steel Research Association, I have theoretical understanding of this subject. My analysis is restricted to manufacturing so this comment is irrelevant. If you refer to what humans might do in some circumstances, then I would agree with you. However, engineers and scientists predict what will happen everyday. You clearly have NOT read my paper. I merely demonstrated that from the definitions of productivity and technical progress mathematical relationships are developed which can be falsified but that the predictions are fully in accord with the empirical evidence. With NO examples on which to base an alternative description, North did what was possible to explain the significance of an analysis in time. As this was a Nobel Lecture, I though you would have some understanding of how important his analysis seemed to him. The remainder or you assertions, anecdotes and references are simply irrelevant. Jones, C. I. and P. M. Romer (2010). ‘The New Kaldor Facts: Ideas, Institutions, Population, and Human Capital’. In: American Economic Journal: Macroeconomics 2(1). You may have skimmed my paper but you have clearly failed to understand it. You have not dealt with its predictions being falsifiable but that they conform to the empirical evidence. That they predict new relationships which Lakatos would find highly significant. So you have failed to deal with the paper and apparently reiterate your failed arguments. The late Bateson (1972) observed that science deals over-whelmingly with things that are present, like matter andenergy. One has to dig deeply for exceptions in physics thataddress the absence of something (like the Pauli ExclusionPrinciple, or Heisenberg’s uncertainty). Yet any biologist canreadily point to examples of how the absence of something canmakeacriticaldifferenceinthesurvivalofalivingsystem. I have not added links just to see if my previous comment is held up for having links or becaus I am being moderated? the lietaer paper Ulonowicz paper might give you some pause for thought. My Claim is that Mainstream Economics fails because it is not interested in a Real answer it is only interested in proving it is right, the same goes for the generality of the Mainstream Academic edifice which is an institutionalised Sychophant to the Oligarchy. I am in total agreement with your statement. You also are equally guilty of the same. If you had said that you did not follow my analysis, I would have been and still wish to explain what you did \not understand. One pertinent discovery by Ulanowicz was that ecosystems do not progress to maximum efficiency. Ecosystems that channel too much activity along the most efficient pathways do so at the expense of redundant, less-efficient processes that can function to take over vital activities in the event that mainstream processes are distributed. Ecosystems that persist are those that achieve a balance between the mutually exclusive attributes of efficiency and reliability. This result from nature poses a significant challenge to mainstream economics, wherein market efficiency is held to be the sine qua non. COme on Frank keep up at the back ! What am I supposed to keep up with? My analysis is consistent with there being an optimum path for manufacturing development. You make a comparison by analogy, I merely deal with provable mathematics. “Ecosystems that persist are those that achieve a balance between the mutually exclusive attributes of efficiency and reliability”. So has Ulanowicz been reading Shannon’s “Mathematical Theory of Communication”? The conclusions of the mathematics applied to nature? last one for now MArtin Nowacks appearance in David Malones latest film series available on Curiosity stream, Why are we here. Mathematical biologist, Martin Nowak, explains the mathematical rules underlying evolution which point to cooperation. Part of a conversation with Ard Louis and David Malone for the ‘Why Are We Here?’ documentary series. For the full interview with transcripts and other resources go the why are we here Web site which is awesome. In the context of signal processing, particularly time–frequency analysis, uncertainty principles are referred to as the Gabor limit, after Dennis Gabor, or sometimes the Heisenberg–Gabor limit. The basic result, which follows from Benedicks’s theorem, below, is that a function cannot be both time limited and band limited (a function and its Fourier transform cannot both have bounded domain) – see bandlimited versus time limited. “Why scurry about looking for the truth? Frank, I understand your paper the maths and what you were asserting. I do not agree with what you assert as being proven. What you present is in my opinion, an exercise in Magical thinking, it’s not called the dismal science for nothing. Whilst according to your own axioms you consider what is presented to be perfectly authoritative, I do not as I reject the Economics priesthood for the charlatans they are. If you consider yourself to be encompassed within what I call the Economics priesthood that is unfortunate, for myself I will stick with Frederick Soddy and real scientific analysis. Please give Soddy his just due.
.*** BUT, why not read and challenge a Noble Laureate for Physics. What you find to be beneficial to mankind use as your guide. Frederick Soddy has in one book answered….all concerns. I must make clear I am NOT an economist. I am an engineer. What axiom would challenge? The only ones used by me are the definitions of productivity and of technical progress. If you can NOT prove those to be wrong then the mathematics leads to a single inexorable conclusion. Keen is brilliant and in the introduction of my book I say that his de-bunking of DSGE is probably worthy of a Nobel Prize all by itself. He’s still very much into the complexities of economics, and that’s fine although I think one of his next moves toward simplifying economic theory is to realize what I have said here several times which is that macro-economics is a young discipline and consequently has a rather short cultural horizon that was born into private finance as a business model that was in a state of high integration into the economy and so it has not realized yet that it (private finance and their ability to create money) isn’t actually a legitimate economic/PRODUCTIVE business model at all. He says such in one sentence in the above video, when he says that neo-liberal DSGE can’t dispose with equilibrium because if they did they’d have to consider the monetary system which would de-stabilize it. Of course the paradigm of Debt Only goes even deeper than recognizing that private finance is not a legitimate economic business model, but unless one has paradigm perception they have to climb the ladder of cognition one rung at a time. Keen, Hudson, Public Banking and MMT all align with each other’s intentions and with the concept behind my Wisdomics-Gracenomics, it’s just that the one thing they are missing is the conscious understanding of what the new paradigm concept precisely is and how, where and when its policies can be implemented so as to cut through all of the complexities of modern economies, integrate all of the “epicycle” attempts to reform it…and instead create the new pattern. I don’t ever want to be accused of Blowing Smoke up Steves Arse so here’s a critique of the good Profs Atmospheric Physics. Prof Keen is a fine Monetary Theorist and not so strong on the ol´ Atmospheric Physics. Readers and watchers might find the Rocket Science Journal of assistance in Explaining what is singularly garbled in this presentation at 46 mins. On the Limits for Growth please also take account of the criticisms of the assumed boundary conditions, again a source of confusion in Prof Keens explanations in this video. You have still failed to deal with the refutation of your claims about the axioms I used being wrong. The axioms are the definitions of productivity and technical progress. The provable maths leads to a single relationship. So, a further question: Do you continue to claim that those definitions are wrong? They are standard definitions? Hi Frank, They are not only wrong they are absurd. On standard definitions, you will go a long way to find a funnier critique of Establishment procrustean reasoning than Rupert Sheldrake’s example of the speed of light and Big G in his banned Ted Talk. I appreciate the Second video widdens the per view but your paper is only amusing for its comedy value to me,Ruert is a supremely funny chap and knows his as it oignons were. I see you finish with the last resort of priests and monarchs an appeal to Authority, Oh dear Oh Dear. Frank, as all of my comments, seem not to appear when they are written and some not at all, it is hard to follow what you have seen when I have linked to them on my own blog, and that which you have not seen and had a chance to consider. There is ample discourse on this page though, to inform a critical reader of our differences of opinion. Lord Hailsham amusingly replys in this interview to Eamon Andrews, 3.18 mins He is not so sure that the others are wrong , only that he is himself right. Make of that what you will?. You clearly are NOT a physical scientist or you would NOT continue to introduce irrelevancies at every verse end. You ignore the question about the validity of the definitions of productivity and technical progress continually! Why??? Is it that you know they are CORRECT. But are afraid to accept the implications and that you are wrong. The spurious noise that Sheldrake produces is totally irrelevant to the present discussion and it was also disavowed by TED as the total nonsense it was. Please note I am NOT offering an opinion. I am offering provable maths. I only describe what the maths leads to inexorably and that it is full accord with the empirical evidence. Deal with these facts NOT with your preconceptions. Frank, you are offering no Arguments. I am happy with the arguments I have presented and how I have done that. You are trapped in a Dogmatic Straight Jacket. I pity your lack of creativity and slavish obedience to the narratives of scientism. Roger, Mathematical developments are arguments expressed in precise terms. You first say that you accept that my mathematical development is correct and then say that its conclusions can NOT be true. These two statements are mutually exclusive. You have failed at every point to deal with the specifics of whether the predictions in my paper, which is a logical argument in itself, are in accord with the empirical evidence and is its conclusion not-falsified by the empirical evidence. If my “dogmatic straight jacket” is pursuit of the truth then I have no problems with your designation. You bandy words like scientism around with NO real understanding of what science actually is. My analysis from first principles is simply one of the 1.8 million papers you can find from the google index using this term. As a physical scientist I believe I have a better understanding of science than that you are representing. Still you fail to answer the questions about my analysis being fully in accord with the empirical evidence. If you did answer these questions truthfully you would, of course, prove yourself wrong. So I do NOT expect an honest answer. Frank, let me try and put it on a bumper sticker for you. The empirical evidence itself is subjective and ill-defined. Where the initial predicate is nonsense everything else that follows is nonsense by definition. it really is no business of mine what you choose to believe in. I am in total agreement that the production function is NOT justifiable theoretically. My mathematics does NOT incorporate production functions. I only refer to them in the context of published papers. 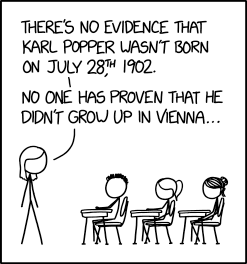 In what way is the empirical evidence subjective and ill-defined? The empirical evidence to which I referred is extensive and from many different published sources. Explain why the definitions of productivity and technical progress are absurd? They are standard definitions and my only axioms! Yes your initial predicate is nonsense and the rest follows. So you admit that you have not understood my paper. At NO point have you ever done anything to deal with the real issues I raised in trying to deal with you as a reasonable man. function does exist. In this sense, the existence of the aggregate production function may be regarded as a neoclassical ‘paradigmatic pseudo-assumption’. fiat. They are taken as self-evident and demarcate the paradigm. They are synthetic in that they may initially have been part of the empirical basis of the paradigm, but ‘they are by no means the product of arbitrary definitional stipulations. presents difficulties for economists in addressing the accounting identity critique. struggle of escape … from habitual modes of thought and expression’. The argument is sometimes made that one should persevere with the aggregate production function because there is no alternative, but this is not compelling. macroeconomic theory that rely on the aggregate production function. From My Poem , Usury Hells Fuel Mans Oppressor. ”When people starve how can overproduction stand charged. It is money promises, kept short in supply that causes starvation. The consumption in the lungs of the community, is the usurers confection. A counterfeit Nobel laureate, theres an irony. Not even wrong, not even there. Castles Made of Sand flow mainly to the see eventually. Roger, thank you for your comments Feb 3, 19.14. The Keynes comment is so apposite. The problem of the aggregate production is the lack of true understanding by neoclassical economists of how data and theory coexist. Fitting curves to aggregate data is a perfectly valid procedure. It produces a concrete relationship describing a single set of data. This is what econometrics does. The form of equation used can be arbitrary. Possible the best form is an arbitrary equation as it does not attempt to force the curve in any particular direction. Providing theoretical relationships is completely different. If a relationship is valid it will be able to describe all values across the full range of all possible data. It will also conform to the quantity calculus — a required characteristic for theoretical equations representing physical quantities. This is illustrated by Fig. 4 of my paper (Transient Development RWER-81) where the strange excursions of Solow’s selected functional forms may be seen as the nonsense they are, when interpreted as theoretical relationships which must satisfy all possible value the data may take. But if restricted to the range of the data provide valid concrete descriptions of that data. The strange excursions taken by the different equations show how equation forms direct the curve. So the problems described by Felipe and McCombie only exist if the two disparate uses of concrete and theoretical are conflated. Hi Frank, Thanks for being patient and not losing your rag. A priori reasoning is undoubtedly a useful tool. Kants critique of pure reason always repays the reading I find. The notes to my Poem Love reality is, goes into these question quite deeply. Alexander, Samuel (2000). “Dr. Johnson as a Philosopher”. In Slater, John. Collected works of Samuel Alexander. 4. Continuum International Publishing Group. p. 119. ISBN 978-1-85506-853-7. Roger, these comments appear to demonstrate that that if the field of discussion is defined in some terms then conclusions can be drawn which do NOT apply in the real world. Hi Frank, I noted your Isoquant point, I have read the paper 3 or 4 times now. It is not an easy read, to be frank, and could use some editing in my opinion. Certainly for my own tastes, but that is a matter for you and what you feel comfortable with. If you did decide to dumb it down for us plebs I would happily read it as many times as you like, for now, though I have had as much of it as I can stomach. I thank you for the conversation and for the reading it provoked, I have found it most educational so thank you. Roger, thanks for your 10.41 comment. When I first wrote the paper it was more didactic and some 60 pages long. Editors think papers should be a maximum of about thirty pages hence its terseness. I had to leave out further demonstrations that its predictions are to be found in the empirical evidence. Frank thankfully overnight I did get some intellectual Stimulation from Garvin who I mention further up the thread. I was aware of the paper by Ulanowicz. It is a truly fascinating idea that needs more research in its application to economics. The paper you reference is one of several of his papers referenced in the attached article by Dr King. I had the opportunity to discuss this paper with Dr King as he was making final decisions on how to interpret his results, and so I was introduced to Ulanowicz’ work. Dr King had an interpretation of his results expressed in terms of an empirical numeric measure of the complexity of the US economy. His interpretation was interesting, but, he thought, possibly a step too far. Ulanowicz’ work is itself interesting stuff, but the economic results are hard to interpret. I got involved in an exploration of that interpretation (as a measure of complexity). I tried to help him resolve his questions and doubts. But Dr King had publishing deadlines to meet, I had other obligations, and so he adjusted his paper to exclude the discussion of complexity, and I set my exercise aside. I attach a couple of my diary notes, that are, alas, incomplete at this stage. Also, you might find the attached NetLogo model of interest, but, again, I struggle to understand just what it all means. I hope to go back, at some distant time in the future, pick up the cudgel one more time, and finish the exercise. Sadly, since I retired, I have far more to do than I had when I was employed for gain. There must be some version of “Murphy’s Law” that addresses that. – In the NTF about “IO Phase Space” I muse about the problem of drawing conclusions about complexity from the King-Ulanowicz approach. – In the note about “Closed vs Open” I try to understand Ulanowicz’ equations better. I strongly suspect that there is a small error in his equations, for which he uses one variable as a proxy for another, and the circumstances under which the implied assumptions might be correct are not clear. Its 3 am here Garvin, not sure I can go back to bed now attachments are brilliant. You may already have read this, I was reading it earlier yesterday. WIll write back in detail When i finish the NTF EROI note. Lots to think about. At one point you asked that I add you to my mailing list. The fact is, at this point, I do not have a regular mail out as I am working on a book. But I did send out one diary note to some contacts in China, recently, and just now remembered your request. The material I mailed out is attached. It contains relevant diary notes and other relevant articles. If you would prefer not to receive further missives from me, let me know. Your comments on any of this material would be welcomed, as would any requests for referenced documents that you do not have. As to What I am , WHo I am ot what bits of paper I care to lay claim too, I assume you have seen the wizard of OZ. Will you be working through all 38 Frank?